fraai rijtje. Leuk met dat doorkijkje. This is a work of art. Exceptional composition, colors and light. Beautiful composition with some great shadows and light. The treetops look like they're one continuous piece. V.
SUPER well composed image Ton. A remarkable phalanx of trees The barn peeking through makes this image particularly appealing . 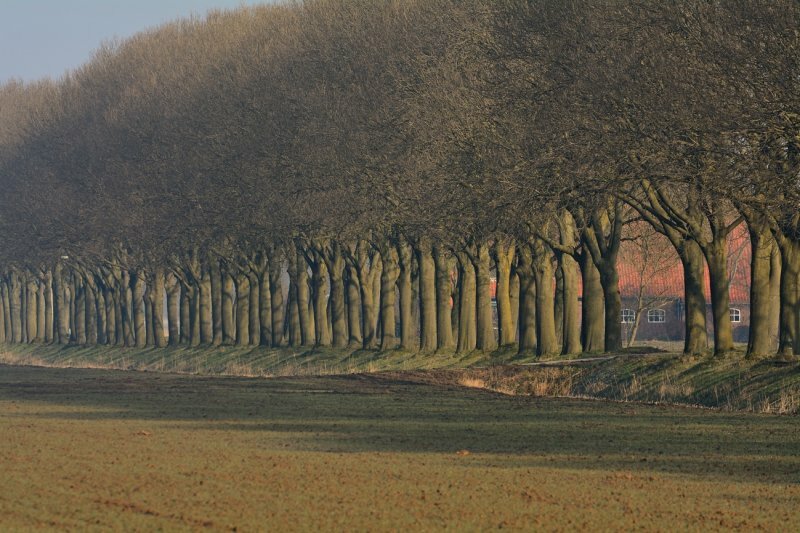 "VVV"
A nice row of trunks, would like to see the trees in leaf. A remarkably image with this perspective, lighting and long focal length. Really like how the tops of the tress seem to fuse together. "V"
Eloquent with an exceptIonal mood!